Happy New Year everyone!!! I was just thinking about some of our family’s plans for the year. And all of a sudden I was bombarded w/some thoughts that weren’t so positive. 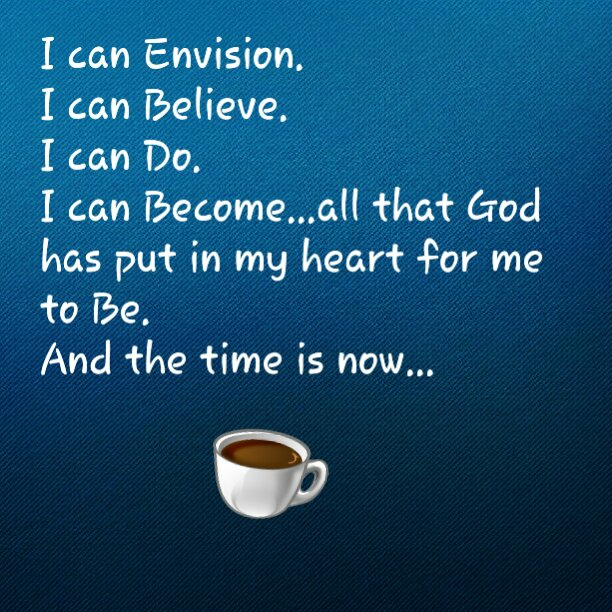 Then I had to take a minute to regroup and speak positively over my life and all that God has for me. Yes there are always things that will come up and try to put fear in the place of faith. But guess what? God has great plans for us and his grace is more than enough to help us maneuver through the waters of life! I’m choosing to speak great things into existence and follow up my words w/the appropriate, excellent actions. So I encourage you all to have a great new year! Step out of your comfort zones and do something great! Write and speak your goals with confidence! Make a list of “I Am” declarations that tell who you are and created to be! And lastly, have joy!